The unique flavors of Jewish Regional cooking are brought to life in this fascinating new cookbook. 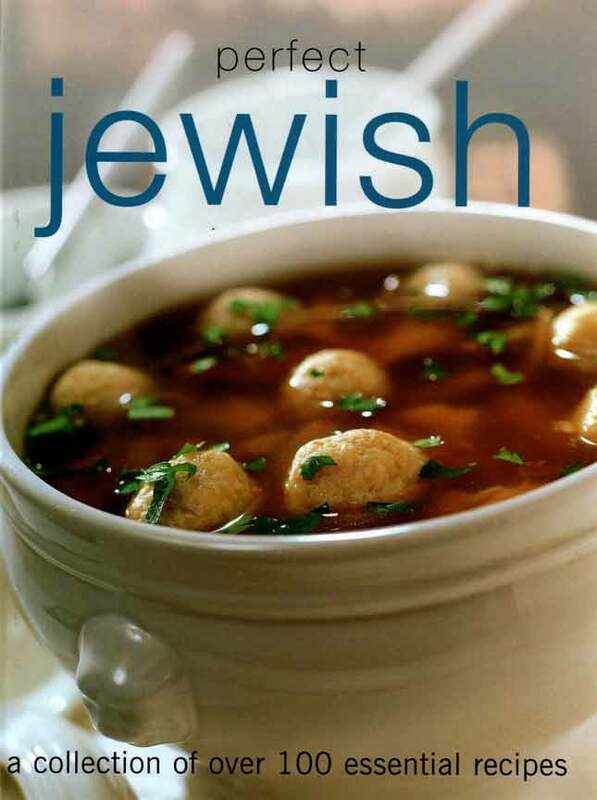 It features an enticing range of 120 recipes from Jewish communities all around the world. The featured recipes cover Central, Eastern Europe and Russia, Spain, Portugal, the Middle East and North Africa. The selections and the beautiful photos paint a rich picture of our culture adapting itself to the various regions around the world that were graced with a Jewish presence. Following the great emigration of the 1880s, by the 1920s more than 2 million Jews were working in sweatshops. 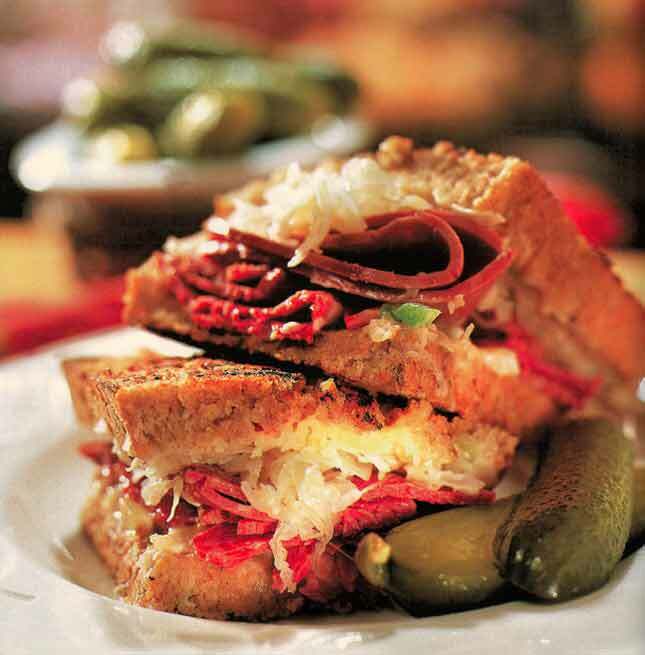 They bought kosher foods from Jewish neighbors and a great Jewish-American institution, the Jewish deli, was born. It served some fantastic sandwiches. Dressing: Mix the dressing ingredients together in a bowl until well blended. Store, refrigerated, in an air tight container for up to one week. Spread margarine on to one side of each bread slice. Lay margarine- side down. Spread the center with 1 tbsp each of the dressing. Divide the roast beef between 2 bread slices tucking in the slices to fit. Divide the sauerkraut and make an even layer over the roast beef. Top with the remaining bread slices, margarine side out, and press firmly to compress the layers. Heat a non-stick skillet or ridged griddle pan over medium-high heat. Carefully slide the sandwiches into the pan. Press down on on the tops of the sandwiches. Cook for 3 minutes or until the undersides are crisp and golden. Carefully turn, press down again and cook for 2 minutes, or until golden and the beef is hot. Transfer to a cutting board Cut in half and serve with pickles.